The Korea-Mongolia route has been exclusively operated between the national flag carriers of the two countries – Korean Air Lines and MIAT Mongolian Airlines – since 1991 when the two countries signed an aviation agreement. The Aviation Traffic Deliberation Committee of the Ministry of Land, Transport and Infrastructure said on Feb. 25 that it has approved the rights for Asiana Airlines to operate three weekly flights, breaking up the monopoly on the air routes between Incheon (Seoul) held by Korean Air Lines and MIAT Mongolian Airlines. The committee gave the rights to Air Busan to operate a flight once a week between Busan and Ulaanbaatar. Asiana Airlines holds a large stake in Air Busan. With Korean Air still maintaining its six weekly flights, the number of flights on the Incheon-Ulaanbaatar increased to 9. 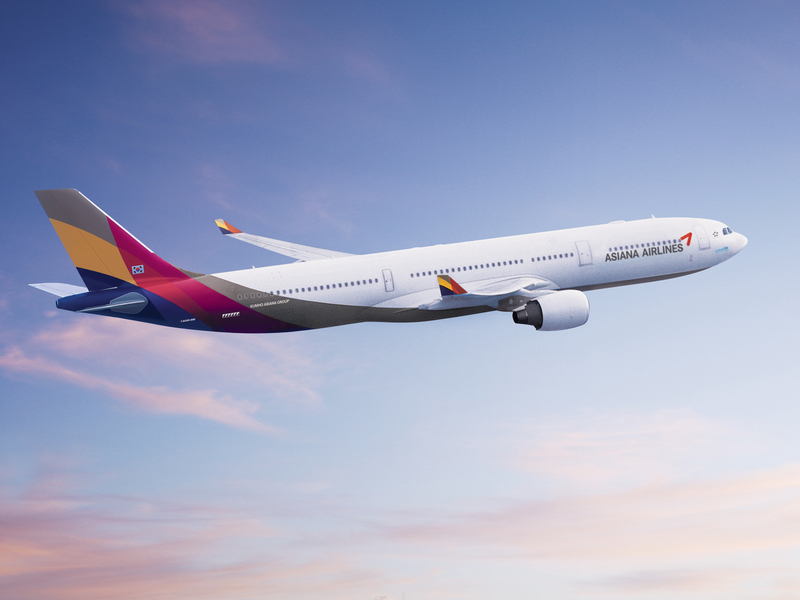 Asiana will utilize its A330-300 planes to serve the new route, a mid-sized passenger plane with 290 seats. An official of the airlines said they appreciate the decision by the committee to break up the monopoly on the air routes enjoyed by its domestic rival air carrier and the Mongolian air carrier for over 30 years, allowing it to operate on the routes. “We will see that nothing will cause us to operate the flights on the new routes less than perfect.” the airline stated. The fare for the Incheon-Ulaanbaatar flight rose to as much as 1 million won per passenger as the monopoly on the flight routes dragged on for over 30 years, although a one-way flight on the route took only three hours and 40 minutes. Jeju Air, T'way Air and Eastar Jet plan to add the new routes to their existing schedules, noting their low fares. They pleaded that they should end the monopolistic control of key routes by the two major carriers. When Korea and Mongolia signed the aviation treaty in 1991, they agreed to have only Korean Air and MIAT Mongolian Airlines to serve the new route. Korean Air launched its maiden flight to Mongolia from 1996 and has been operating six weekly flights on the international route with the number of the seats on the flights totaling 1,656. There were constant pleas for increasing the number of flights on the route as time passed by and number of the passengers rising every year due mainly to the exchanges between the two countries growing every year with the tickets getting harder to buy and the fare rising due to the limited seats. The number of air passengers between Korea and Mongolia came to around 330,000 last year, rising around 10 percent annually since the air route first opened in 1996. Korea and Mongolia agreed in an aviation meeting held in January to increase the weekly flights to 9 adding three more flights with the number of seats increased to 2,500 to take care of the problems. Asiana Airlines Inc; formerly Seoul Airlines) is one of South Korea's two major airlines, along with Korean Air. Asiana has its headquarters in Asiana Town building in Seoul. The airline has its domestic hub at Gimpo International Airport and its international hub at Incheon International Airport (70 kilometres from central Seoul). As a member of Star Alliance, it operates 14 domestic and 90 international passenger routes, and 27 cargo routes throughout Asia, Europe, North America, and Oceania. In 2004, the airline added Airbus A330s and the Boeing 777-200ERs to its fleet, and expanded its routes into mainland China. Currently it provides international services to 71 cities in 23 countries on 91 routes, and domestic services to 12 cities on 14 routes. It also provides international cargo services to 29 cities in 14 countries on 28 routes by Asiana Cargo, the airline's freight division.